Elastic potential energy in a spring, illustration. 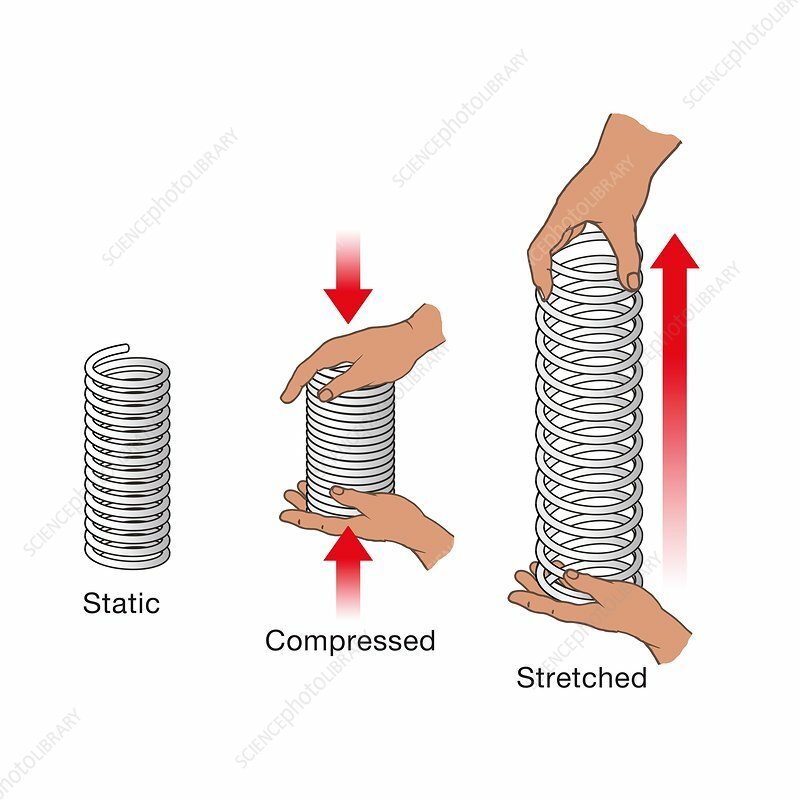 Elastic potential energy is the energy stored as a result of deformation of an elastic object, for example the stretching or compressing of a spring. It is equal to the work done to stretch or compress the spring, which depends upon the displacement of the spring from its equilibrium length, and the spring constant, a characteristic of the spring. Hooke's law states that the displacement of the spring is proportional to the force acting on it (red arrows).